Rich in history and natural beauty, Wales has a culture distinct from the rest of the UK. Travellers are attracted to Wales because of its beautiful landscape, the wide open spaces of its stunning national parks and the wealth of history and culture. Wales is situated on the western shores of Great Britain, has three National Parks (including the only coastal National Park in the UK), five Areas of Outstanding Natural Beauty, and only 3 million people! And there is more; two languages, over 400 castles, the largest impressionist art collection outside of Paris and a landscape that offers opportunities for all kinds of activities such as walking, cycling, climbing, golf, mountain biking, water sports, paragliding to name but a few. You could find yourself in a National Park or at a World Heritage Site. You could be admiring the golden sands of a Blue Flag beach, or a Premier Garden. When you visit Wales you'll learn the more you explore the more you'll discover. Many artists, poets and painters have been inspired by Wales. 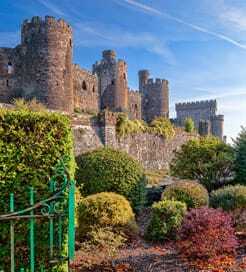 Visit Wales and be inspired yourself! 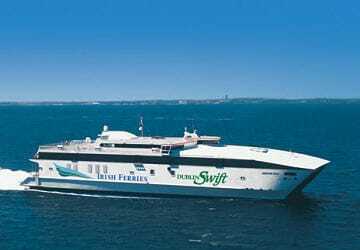 For more information, please visit our Ferries from Ireland to Wales page.